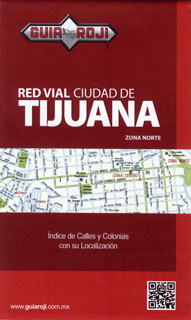 Detailed street map of Tijuana with index. This map goes only as far South as San Antonio del Mar. Scale 1:20,000. 2nd ed.